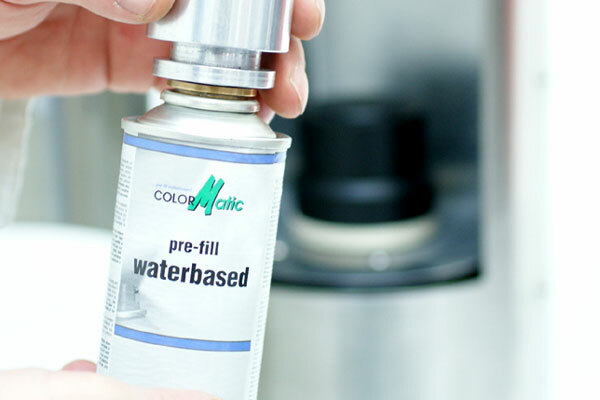 The ColorMatic pre-fill spray paint can is prefilled with propellant and specific additives and then filled by VitoMat filling machines with the desired coat. 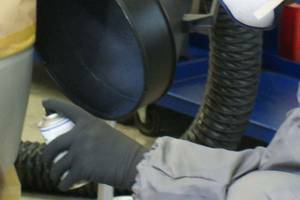 Innovative spray and valve technology guarantee the fine broad jet atomisation, a high application rate and constant pressure for best workmanship and professional-quality end results. The ColorMatic water-based pre-fill for mixing system can be filled with water-based basecoats. 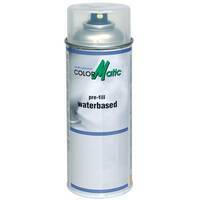 It was especially developed for the mixing system water-based. Degree of gloss: matt. 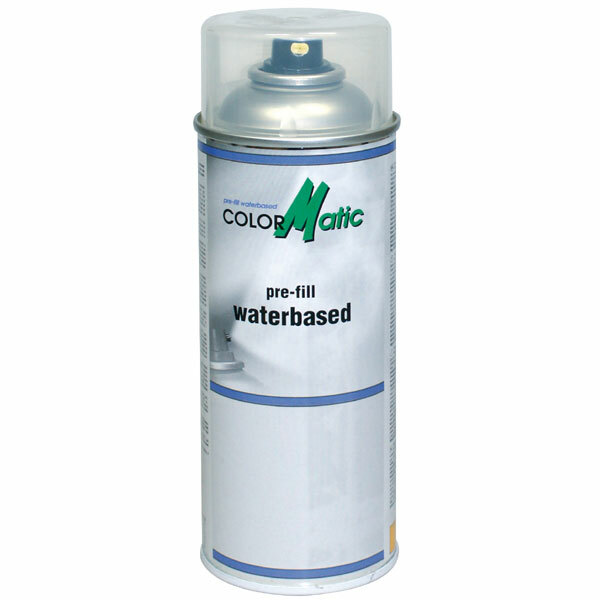 It is necessary to re-coat wb basecoats with 2K clear coat. After the varnishing with clear coat the basecoat is featured with an excellent weather- and chemical resistance and a everlasting gloss. Drying (at 20°C, 50% relative air humidity): 20 - 30 min.